NUCCA saves another career and most importantly saves another life! NUCCA Chiropractic has helped restore the lives of many professional athletes and people of all walks of life. However, this week the fan base of the Ottawa Senators learned how the human body can heal when properly aligned with NUCCA Chiropractic. 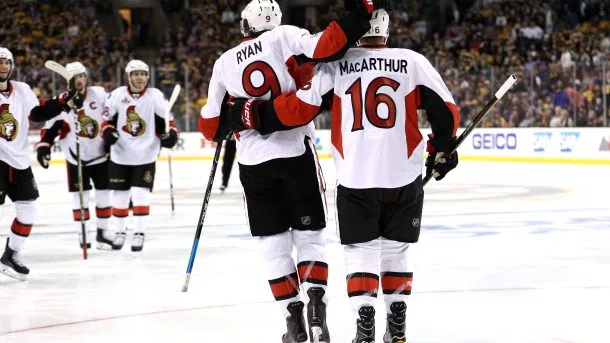 When Clarke MacArthur scored the game sealing goal in overtime against the Boston Brewers elevating the Senators to round 2 of the playoffs, it wasn’t just a win for his team and the city of Ottawa, it was a win for anyone that has suffered the debilitating effects of concussions. Over the past two years Clarke MacArthur has sat the bench 156 regular season games due to multiple concussions and was in preparation for retirement. On January 20th MacArthur was declared out for the season when unable to gain medical clearance from the Senators. After the game this week many fans reached out to him to congratulate him on his game winning goal and ask how he managed to get back on the ice after experiencing post-concussion symptoms and being ruled out for the season. “I really believe that has a big part in it,” says MacArthur. After 156 games out, MacArthur had a breakthrough. With NUCCA chiropractic care he was able to get back on the ice and perform at the highest level. MacArthur and his team are back, and ready to take charge in the Stanley Cup Playoffs.